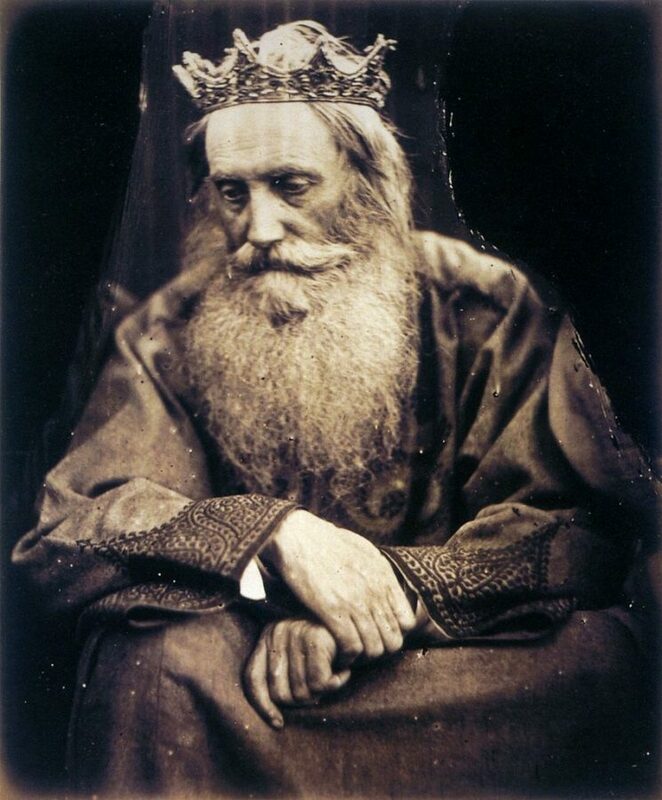 The English Victorian artist Julia Margaret Cameron (who was actually born in India and raised in France) was an irreplaceable representative of pre-Raphaelite photography. With a careful look, Julia produced portraits of deep sensitivity, marked by the drama she could manage for each scene. 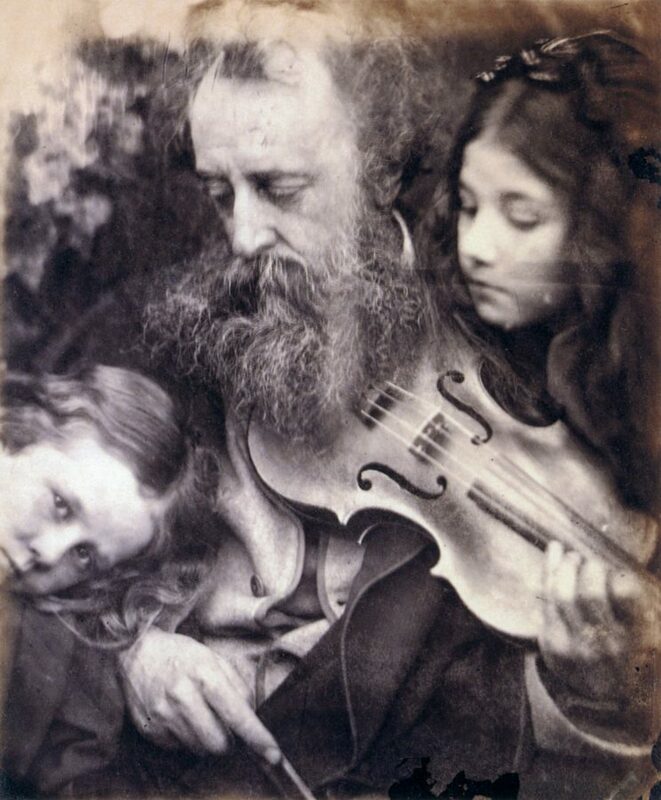 Unlike artists who started their careers very early, still close to adolescence, Julia Margaret Cameron began her artistic journey at 48 years of age. 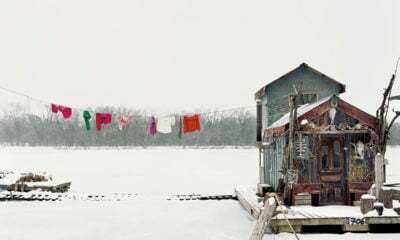 It all started when her daughter gave her a camera as a gift. 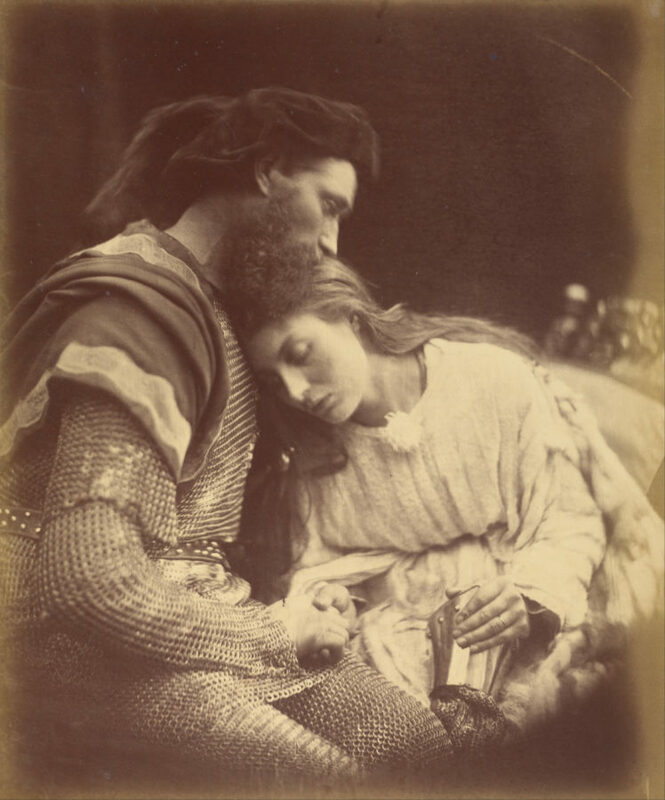 Julia became a dedicated photographer, she began to stage allegorical scenes referring to mythology, literature and history, a tendency that aligned well with the Pre-Raphaelite Brotherhood. In a few words, the movement advocated a return to nature and a way of making art that opposed the speed of industrialization. Their style was inspired by the Italian early-Renaissance painters who had come before Raphael, such as Botticelli. In the photograph above, for example, she reenacts a tragedy of William Shakespeare – one of the favorite authors of the Pre-Raphaelites, as you can see here and here. 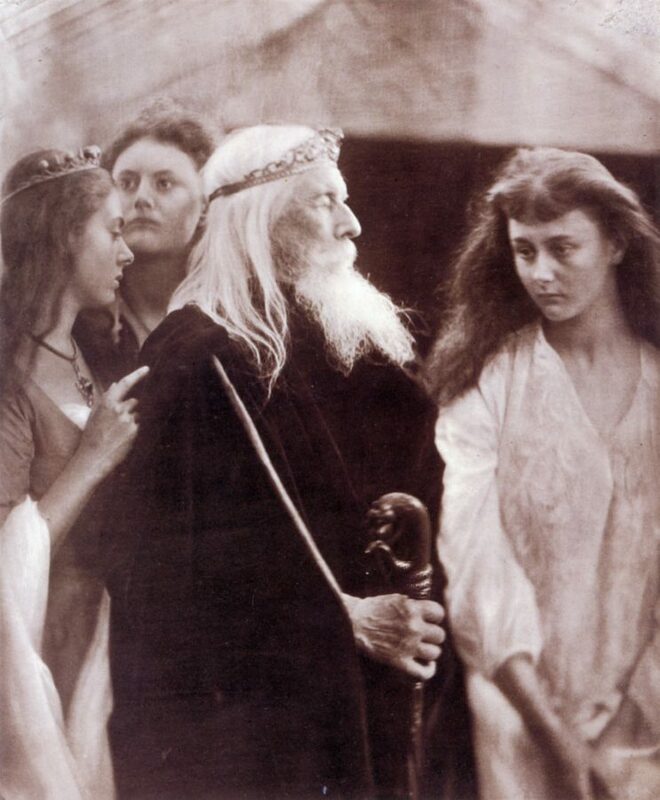 The subject of this photograph is the division of King Lear’s kingdom between the daughters Regan and Goneril, and the exclusion of their sister Cordelia from the inheritance. Julia’s photographs delight in the meticulousness of detail. She picked up her friends and family, and even her servants, to be her models. 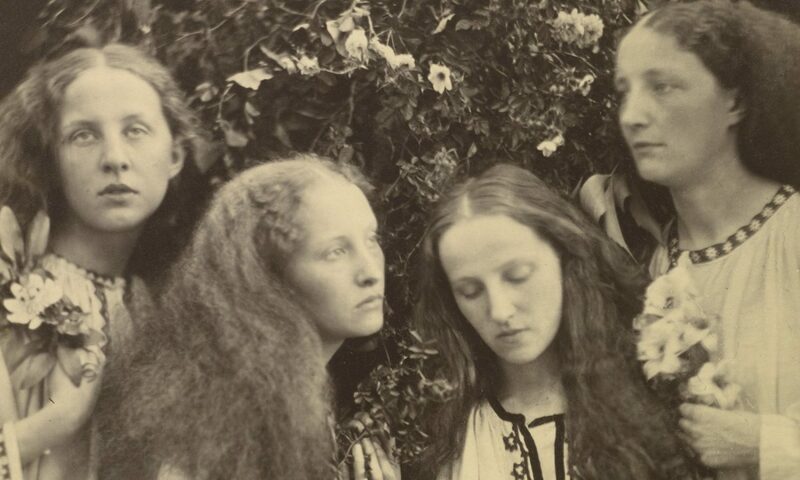 One of Julia’s nieces, Laura Gurney Troubridge, stated that her aunt was unpredictable and that they never quite knew what to expect from her photographs. However, trust was absolute: when Julia asked to stand still, they did, even if it took hours. Since she was quite well-off and had a well-established network of contacts, her photographs feature many celebrities of her day, artists, and even scientists. The theme of “Kings and Queens” was a recurring one in Cameron’s artworks. 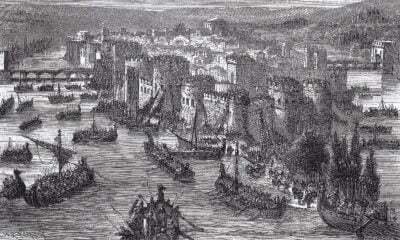 And, of course, as it was common at the time, King Arthur was a common guest in her art. 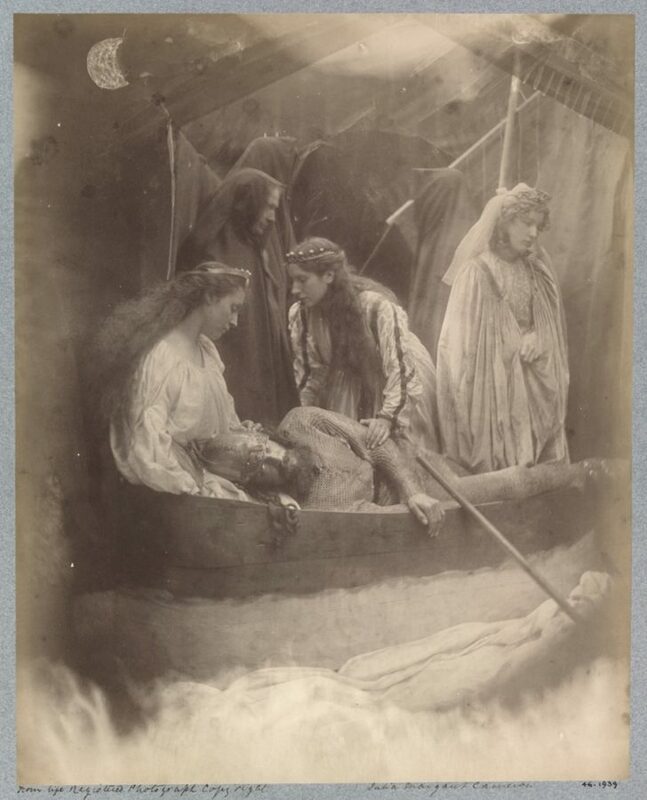 In the case of the two photographs above, Julia received a commission from the poet Alfred Tennyson, who wrote the book Idylls of King, based on the legends of King Arthur. He asked her to do the photographic illustrations for the book. In response to the request, the artist produced a series of 25 photographs accompanying the poems. Julia put a lot of effort to obtain a good result, for example, she used fabric on top of the lens to create the ‘misty atmosphere’ and paid a lot of attention to costumes. In 1864, the same year she began photographing, Julia became a member of the Photographic Society of London and Scotland. One year later, she made her first solo exhibition at the Victoria & Albert Museum (which at the time was still called the South Kensington Museum). Theatricality is masterfully explored by Cameron. With the help of elements from the theater, such as costumes and set, she constructed photographs that tell stories and allow the observer to immerse into an imagined world. 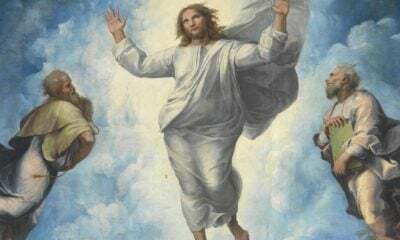 Look at this picture of King David. For a moment it is David himself that we see, not Sir Henry Taylor. One of the most interesting things about Cameron’s work, however, is the way she preferred to take on blemishes and other “mistakes” in the final print. 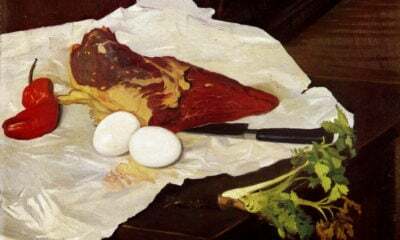 Critics at the time believed that it was the photographers’ obligation to eliminate any defects from their works, but the artist did not care. 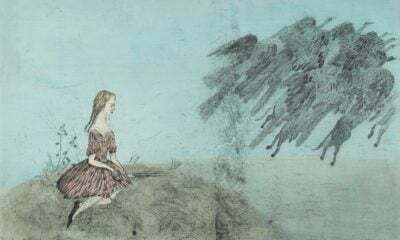 The stains and scratches on the image were part of Julia’s aesthetic. Cameron’s production took place over a decade and only declined when she moved with her family to Sri Lanka in 1875. She lacked materials to develop the photographs and also didn’t really fit into a new community. Despite this, Julia left an impressive number of photographs, and she recorded all of them very carefully – it is especially to her well-organized collection that we owe access to her works today. Julia died in 1879 and had her biography first published seven years later by Julia Prinsep Stephen, Cameron’s niece and mother of the brilliant writer Virginia Woolf. 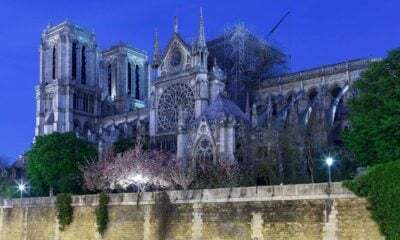 Someone who believes, through reading and intuition, that the history of art is the true history of humanity. In love with Renaissance art and a huge fan of the Impressionists.